This isn’t your ordinary business book. The idea of a book was re-imagined for a digital meets analog world to be a relevant and sensational experience. Its aesthetic was meant to evoke emotion while also giving new perspective and insights to help you win the hearts and minds of your customers. And, the design of this book, along with what fills its pages, was done using the principles shared within. 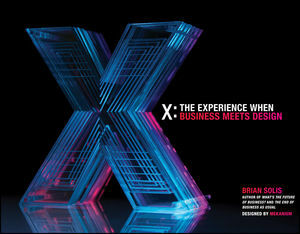 BRIAN SOLIS is globally recognized as one of the most prominent thought leaders in business innovation. As a digital analyst, anthropologist, and futurist, he studies disruptive technology and its impact on business and society. More so, he humanizes technology's causal effect to help people see people differently and understand what to do about it. Brian has authored several bestselling books including What's the Future of Business (WTF), Engage!, and The End of Business as Usual. His blog, BrianSolis.com, is ranked as a leading resource for insights into the future of business, new technology and marketing. He also actively contributes to Forbes, MarketWatch and AdAge.